Sen. Oluremi Tinubu (APC), Lagos Central, said on Thursday said she deserved to be given leadership position at the 9th National Assembly because of her overwhelming experience at the Senate. She also called for more women to be considered for leadership positions. 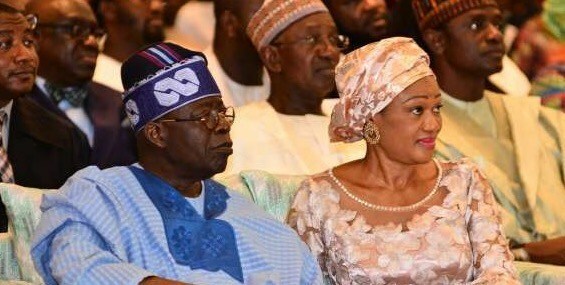 Tinubu made the remark in an interview with the News Agency of Nigeria (NAN) on the sidelines of the presentation of Certificates of Return to elected National Assembly members in Abuja. Tinubu, who is the longest serving female lawmaker in the senate, said that she had garnered enough experience and should therefore be considered for a leadership position in the Assembly. “The men have to trust the women to do that, especially the All Progressives Congress (APC) led administration in making sure that women are given their fair share. “I am the first woman in Nigeria to be re-elected for third term as a Senator, I think they have to consider what they will give to a woman at the 9th assembly. “I believe I have represented the women agenda for over 20 years and they should trust me and my office will be opened to them; then we can move the agenda of the nation forward and I am looking forward to that,”she said. Tinubu promised to be a voice for the voiceless and a defender of the cause of the less privileged through Legislative Advocacy, declaring that her life had been about service, most especially for women. “Women should come together and support each other. A woman who is in a position should be there for other women, where ever God has placed you, the next woman in the street is your sister, daughter and your mother, so you should keep speaking out for them. “When one is speaking, she is speaking for all, it will not just be all about designer bags, but, let’s make sure that when we are wearing one, we are giving one to that other women, “she said. The lawmaker, who is going for a third term in the Senate, assured of her commitment to ensuring that Constituency Projects and Intervention Programmes nominated across the senatorial district would be duly executed and delivered according to specifications and within the specified period. “I will also continue to nominate and facilitate meaningful programmes and projects for my constituency, “she expressed.